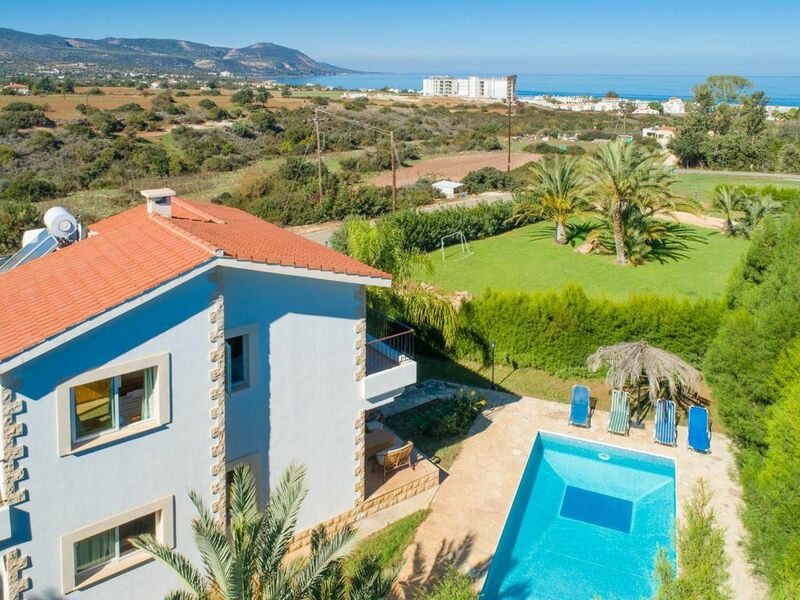 Villa Alexandros is located in Latchi, Cyprus. Our detached vacation rental property is air-conditioned and sleeps up to 7 people with 3 bedrooms, 2 bathrooms along with private swimming pool and sea views. The Villa is walking distance to the beach and restaurants. Villa Alexandros has has 3 air conditioned bedrooms. If an additional bed is required there is 1 folding bed. The villa can sleep up to 7 people. There are 2 modern bathrooms. Upstairs is a family bathroom. Downstairs is a WC/wash room. At Latchi you will find a laid back Cypriot village with a sandy beach and waterfront tavernas. Local life focuses on the fishing harbour. The local bars are low key and welcoming.